You can cancel up to 7 Days prior to your activity taking place. You will receive a full refund unless the amount is subject to a service charge. If you cancel within 7 Days of your scheduled activity you forfeit deposit. It will be held as a credit to your account good for up to one year. You can use it for future reservations at any of our locations in Mexico, the Caribbean, and the Florida Keys. If you made a payment in full you will be refunded 75% of the total amount paid. If you cancel within 3 Days prior to your activity taking place you will be billed the remaining balance as per the credit card authorization detailed below (if only the deposit was paid). No credit will be issued. Deposit Credits are good for up to one year and can only be used toward another deposit payment, no exceptions. You can cancel up to 14 Days prior to your activity taking place. All deposits are non-refundable. Any reservation paid in full will receive a 75% refund. If you cancel within 7 Days prior to your activity taking place you will be billed the remaining balance as per the credit card authorization detailed below(if only the deposit was paid). No credit will be issued. Private Charters (including fishing): NO REFUNDS OF DEPOSIT PAID (Raincheck issued). If you cancel within 7 days of your trip, you forfeit the deposit and you may be charged the remaining balance by the activity operator unless otherwise agreed by the operator. Group Reservations (for 10 or more): NO REFUNDS OF DEPOSIT PAID (Raincheck issued). If you cancel within 7 days of your trip, you forfeit the deposit and you may be charged the remaining balance by the activity operator unless otherwise agreed by the operator. 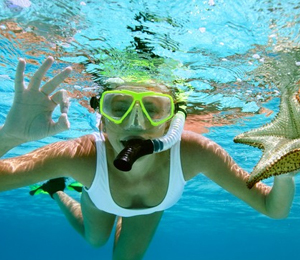 Scuba Diving Instruction: All Scuba Diving Instruction requires a medical questionnaire to be completed. It will ask health questions such as lung problems, ear problems, high blood pressure, etc. 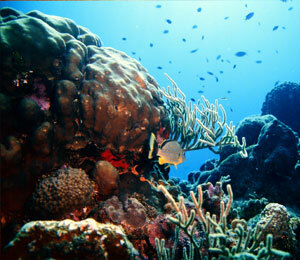 If there are any medical issues you answer "yes" to you will be required to have a doctor's note clearing you to dive. It is your responsibility to be "cleared" to dive. No refunds will be given if disqualified from diving due to medical reasons AT CHECK IN. Cancellation Due To Bad Weather If your activity operator cancels due to bad weather AND can't accommodate you on another day, you will be issued a refund. We will confirm if this is the case before issuing a refund. If The Activity Operator Cancels The Activity If the tour operator cancels AND can't accommodate you on another day, you will be issued a full refund. We will confirm if this is the case before authorizing a refund. If Your Cruise Ship Itinerary Changes If your cruise ship changes itinerary and prevents you from participating in your excursion you will be issued a full refund. You will need to provide us proof of this itinerary change before we can authorize a refund. If Your Airline Itinerary Changes If your airline cancels your flight or is delayed and prevents you from participating in your excursion you will be issued a full refund. You will need to provide us proof of this itinerary change before we can authorize a refund. In Case Of Illness If you fall ill before or during your trip and this prevents you from participating in your planned activity, you will need to provide us with a valid doctor's note before we can authorize a refund. Please Note: The policies listed apply to all reservations made online or directly over the phone. Your Final Confirmation Voucher All reservation holders will be emailed a final confirmation to the email provided when making the reservation within 24 hours. You are responsible to make sure the email you provide is valid and that you have received the final confirmation. You must contact our office if you have not received your confirmation with 24 hours of making your reservation. This confirmation will contain all the details concerning your activities including, times, locations, amounts charged and amounts owed. The final confirmation comes as a PDF attachment to the email we send you. You are required to bring this with you and present the confirmation on the day of your activity. Cruise Ship Customer Port Times Please make sure your itinerary time and local times are the same. Some cruise lines use "ship time" for their port times instead of the actual local time of the port you'll be visiting. If you are late or do not arrive on time because did not schedule your activity accordingly you will still be held financially liable. No Shows If you or a member of your party do not show up for your activity you will be responsible for the total amount of the tour, including the outstanding/remaining balance. Showing Up Late If you or a member of your party show up late and are not able to participate you will still be responsible for the total amount of the activity, including the outstanding/remaining balance. Unsatisfactory Activity Experience If you experience any issues with the quality of your activity, please address them immediately with your activity operator. Voice your concerns and complaints with the person in charge of the activity in order to reach an amicable solution that day. Do not wait until you return from your vacation. If you feel you deserve a partial or full refund it is imperative you make this known the same day of your activity. Any financial remedy is the responsibility of the activity operator and NOT "BestOnKeyWest.com, Inc." No refund will be given for any cancellations or no-shows as a result of you failing to follow the instructions on the confirmation email. Credit Card Statement: Your credit card statement will display "BestonKeywest.com, Inc." as the company authorized to bill your bank or credit card. 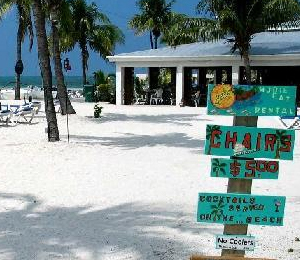 By making your reservation online or by telephone you agree to authorize "BestonKeywest.com, Inc." and/or the activity provider you will be participating with to bill your credit card the agreed upon amount you are responsible for related to your reservation. The credit card charges are authorized verbally and/or electronically by you, the reservation holder, and are valid in lieu of a signed credit card authorization form. You also authorize "BestonKeywest.com, Inc." as the third-party vendor to provide your credit card and billing information to the relevant activity operator you are scheduled to participate with in order to secure any payments related to your activity. "BestonKeywest.com, Inc." is not responsible for any charges incurred as a result of exchange rates or local taxes. Credit Card Disputes andamp; Charge backs: You agree to contact and speak to our office via telephone directly to resolve any discrepancy before initiating a dispute or charge-back with your credit card company. If you fail to contact our office before initiating a charge-back you will waive your right to file a dispute and you authorize "BestonKeywest.com, Inc." to charge a $25 Administrative fee to your bank or credit card. The arrangements set forth on this ticket for transportation, excursions, tours or similar activities are made solely for the convenience of the ticket holder and are at the ticket holder's risk. All prices are subject to change without prior notice until the ticket is purchased. The providers of such services are independent contractors and are not acting as agents or representatives of Bestonkeywest.com, Inc., or Best On Travel Network, Inc., or their respective affiliates or subsidiaries (collectively "BOTN"). In no event shall BOTN be liable for any accident or harm to ticket holders, which occurs as a result of any acts, omissions or negligence of any independent contractors. 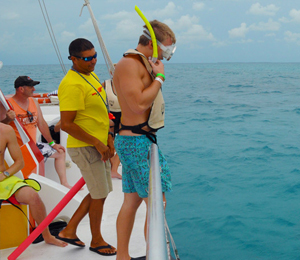 In the event of a cancellation or change in the services or activities by the service provider, BestonKeyWest.com, Inc. cannot be held liable for any injuries or damages sustained while participating in any activity. Participants are voluntary and assume all risks involved. Payments are applied when confirmation vouchers are sent. We appreciate your business and hope you have an exceptional vacation. Please contact us with any questions or concerns. We're here to serve you.